Mont Rogers is currently a Marketing Research Analyst at Georgia Tech Professional Education, a position he has held since 2012. Prior to that he was the Marketing and Research Manager for Georgia Tech Alumni Association and the Director of Strategic Market Intelligence at Emory University. 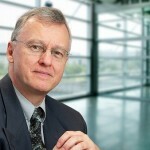 Rogers obtained his BA in 1985 from the University of North Carolina at Chapel Hill and in 1987 received his MSc from the London School of Economics and Political Science. Rogers is active in the London School of Economics alumni group in the U.S. He is co-chair of the Atlanta Chapter of the Alumni and Friends of the London School of Economics and is a board member of AFLSE. He also assembles the AFLSE national newsletter. You can find Rogers on the web via LinkedIn.